After the long winter that most of us have endured, I invite you to celebrate Spring’s arrival with a visit to Moss Mountain Farm, located just outside Little Rock, AR. A visit to Moss Mountain Farm is an immersive experience of inspiration, education and conservation. I love welcoming guests into my home and gardens, all while promoting the local food movement, organic gardening and the preservation of heritage poultry breeds. One of our most popular Spring events is the annual Easter Sunday Celebration. We invite guests to join us for a lunch buffet and an afternoon of fun for all. Bring the family for an Easter portrait among the tulips, and give the little ones a chance to hold a baby chick or feed some sheep. It’s a fun-filled celebration that I look forward to every year! For more information about visiting Moss Mountain Farm, check out our tour schedule. Many home gardeners and those in the agriculture industry know we have a pollinator problem on our hands. We need pollinators, such as bees, butterflies and birds, to enjoy some of our favorite fruits, vegetables and flowers. However, some threats to pollinators include, habitat loss, pollution, the introduction of non-native animals and plants, and climate change. And while we may not be able to address all of these, activities like beekeeping, planting native species and increasing habitat can provide relief to these helpful garden assistants. Not all of us have time to start keeping bees, but it’s fairly easy to create little pollinator gardens full of native wildflowers to give them a place to land. Pollinators are creatures of habit, and though their natural habitat may be overtaken by construction sites or development, they will stay in the same areas and won’t travel very far to find food or shelter. That’s why it’s important to have patches of wildflowers and comfortable areas for them to live and work. In an effort to help these vital gardening assistants, I have joined with First Community Bank for the “Bloom with Us” project which will install 20 pollinator gardens in the bank’s locations across Arkansas and Missouri. These gardens will begin growing in the first week of March and will not only be beneficial for pollinators but also beautiful for the members of the community. It’s a win-win! I hope you’ll drop by to stop and smell the flowers, and maybe even glimpse a few bees and butterflies at work or play. If you’d like to find out more about planting pollinator friendly gardens in your backyard, check out the planting guides at pollinator.org. And for more information on how you can support pollinators in your world, check out my YouTube video below and subscribe to our YouTube channel. It’s no secret that I love living in the Natural State. There’s so much to see and do, from outdoor adventures to unique cultural experiences. Even as a longtime Arkansan, I’m constantly discovering new ways to experience this beautiful state. Check out a few of my favorite spots to travel in Arkansas! As a nature enthusiast, I never grow tired of exploring the Natural State and all the outdoor experiences it has to offer. I’m always looking for areas I haven’t seen before, and Buck Island has quickly become a new favorite of mine for outdoor adventures. Located just outside Helena, AR along the Mississippi River, Buck Island is a public island featuring 880 acres of native forests, 620 acres of white sand beaches, five miles of hiking trails and a three-mile side channel. Buck Island gives visitors a chance to experience the natural wonders of the Mississippi River in a whole new way. Recently conserved for public access, the island offers new opportunities for camping, hiking, paddling, swimming, fishing and more. The island also supports numerous wildlife species, some of which are endangered, and is a stop-over site along the Mississippi Flyway, used by 65 percent of North American migratory bird species, making it a bird-watcher’s paradise! I love exploring unique spots around Arkansas, especially those that offer a glimpse into what feels like a whole other world. Subiaco Abbey offers just that. Located in the small town of Subiaco in the Arkansas River Valley is Subiaco Abbey, which houses a community of over forty Benedictine monks and includes a preparatory academy and retreat center. Established in 1878, Subiaco Abbey features Old World architecture, such as the massive Romanesque-style Abbey Church. Perched on a hillside, the Abbey also offers scenic views of the surrounding area. Subiaco Abbey isn’t just known for its breathtaking views and architecture. Since 2003, the monks at Subiaco have been making their famous hot habanero pepper sauce known as “Monk Sauce.” Made fresh from habanero peppers grown in the Subiaco gardens, “Monk Sauce” packs a fiery punch and is a favorite among visitors. If you’re looking for an incredible cultural experience, look no further than Crystal Bridges Museum of American Art. Crystal Bridges is a state-of-the-art museum which has created a nationwide buzz since its opening in 2011. Located in Northwest Arkansas, this museum attracts visitors from all over the country. Any art lover would be impressed by the museum’s world-class permanent collection, which spans five centuries of American masterworks. Crystal Bridges also features a year-round schedule of exciting and unique temporary exhibitions. The architecture of Crystal Bridges is just as impressive as the artwork inside the museum. Surrounded by native forest, the exterior of Crystal Bridges was designed in a way that blends nature and art seamlessly. The museum grounds also feature a classic “Usonian” home designed by world-renowned architect Frank Lloyd Wright, which is an absolute must-see! I love seeing how art can rejuvenate an area or space, which is exactly what the Unexpected has done for Fort Smith, Arkansas. If you’re passing through the Arkansas River Valley, you’ll want to stop by downtown Fort Smith to catch a glimpse of the colorful, unique murals that are scattered about the area. The Unexpected is an annual public art festival and downtown revitalization project created by the nonprofit, 64.6 Downtown, which brings renowned artists to the Fort Smith Area to create outdoor art over the course of one week. As you explore downtown Fort Smith you’ll find that the urban murals truly are, as the name says, unexpected! The public art is a walkable experience that also allows you to explore the downtown Fort Smith area and all it has to offer. While in the area, check out some of Fort Smith’s well-known historic sites, such as Judge Isaac Parker’s courthouse and the National Historic Society. To learn more about my favorite spots in Arkansas, check out the video below or visit Arkansas.com. If you’re raising chickens or think you might add birds to your backyard in the near future, Chicken Chat at Moss Mountain Farm is for you. It’s ideal for everyone from small-scale chicken farmers to novices wanting a pet bird. Event attendees will learn from P. Allen Smith about his heritage breed poultry and the importance of preserving these rare breeds. He’ll be on site answering all of your burning questions and sharing his long-standing love for chickens. 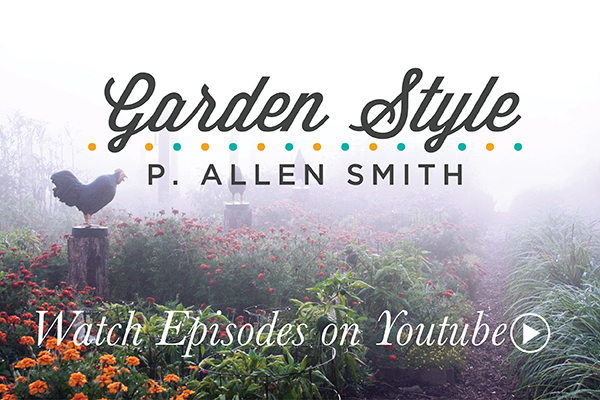 Best of all, you can meet Allen and tour the grounds of Moss Mountain Farm and his garden home, which is the staging area for his Garden Home and Garden Style television shows. He will take you to Poultryville, and you will see how he feeds, nurtures, and protects his own flock of heritage breeds. Dr. Keith Bramwell will also be in attendance this day, bringing with him a wealth of knowledge on heritage breed poultry. Lunch will be provided. You could even purchase chickens to take home and add to your flock! Chicken Chat is kind of a big deal, so reserve your spot today before they’re gone!